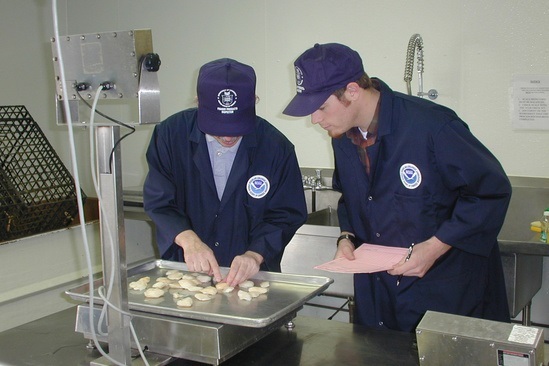 Los Angeles Cold Storage makes moving your product through the supply chain faster and more efficient by offering a variety of inspection services, including an on-site United States Department of Commerce (USDC) seafood inspection specialist. Modern, state of the art facilities have been built for inspection, certification and testing of your seafood products. No more travel time or mileage charges means a faster response and less expensive inspection costs for you. For additional information please contact Alicia Carrillo at 213.624.1831 or acarrillo@lacold.com.